A couple weeks back I wrote a blog post about something I called the Me3 model for marketing. 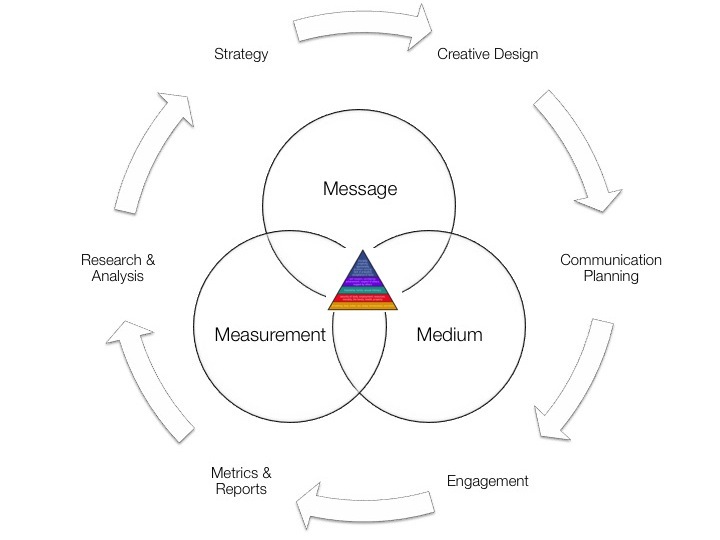 This model was built around the idea that marketing involves 3 broad area of concern – message, medium, and measurement. In the time since, I have found it to be a very useful way to approach marketing, particularly as it pertains to helping me determine where clients need my help. Still, as I was preparing to present it to some students at the University of Dayton last week, it occurred to me that something was missing from the model. Although this cyclical model made sense, it was lacking an important dimension – meaning. Meaning is critical. Bob Gilbreath discusses its importance in his amazing book The Next Evolution of Marketing, Connect with Your Customers by Marketing with Meaning. The more meaningful your company, products, or services are to people, the greater your chances for sustainable success. Meaning matters. Think of it this way. Most people have never heard of your company. To them your brand means nothing. Some have heard of you, but never used your services. Others are one time customers. Still fewer people are loyal customers who continue to buy from you, and an even smaller, but very important group is the people who can be described as your brand evangelists. These are your most loyal, most vocal, and probably most profitable customers. Ideally, brands should be seeking to increase their level of meaning in the market – constantly seeking new ways to connect with their customers and strengthen their level of engagement. me3 the Marketing 4Me model. The 4th “Me” is ultimately the people whom the marketing is built around. Meaning is about the dynamic wants, needs, and perceptions of people. It is symbolized by a pyramid that sits atop the venn diagram of Message, Medium, and Measurement. In essence it takes the cyclical nature of the original model and seeks to add an upward spiral to it. Meaning measures what, if anything, a brand, product, or service means to people. 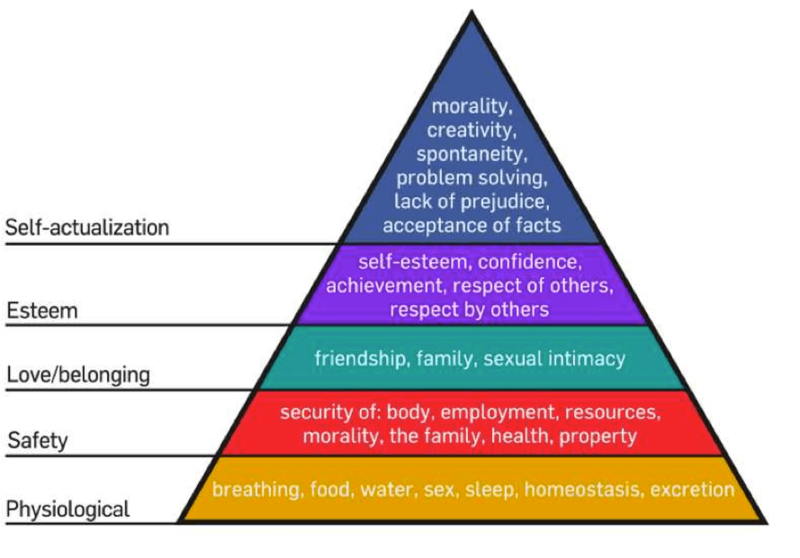 The pyramid was chosen because of the applicability of Maslow’s hierarchy of human needs to the concept of meaning. Understanding the basic human need you fill for someone provides insight into what your brand means and where to go next. I anticipate making further revisions as time passes, but for now this is a start and it works 4 me. Does this work 4 you? Do you find this meaningful?